Thanks Again Mario. I thought that might be the case. But thanks for confirming it. Not sure if this will get picked up cause this post is pretty old. I really need to get some more performance out of a HD44780 I'm using over spi. I'm just using the stefan's .netmftoolbox at the moment to drive it using the 74hc595 class. I thought the perfomance would be ok except that it is not really. I've got the code copied into my project but have to change it because the wiring is different on the custom PCB i have made. can anyone help me modify the code to allow for my different wiring? Bit_shifting is a little out of my depth. All though, come to think of it. I would still need to use the 74ch595 class because the are three 595's in the chain. if I were to go and use the spi directly it would write random stuff to the next 2 chips in the chain. Which brings me to the next question. would using this display driver get me anymore performance. seeing that It would have to write to the spi over the 74hc595 class from the netmftoolbox anyway. Anybody? 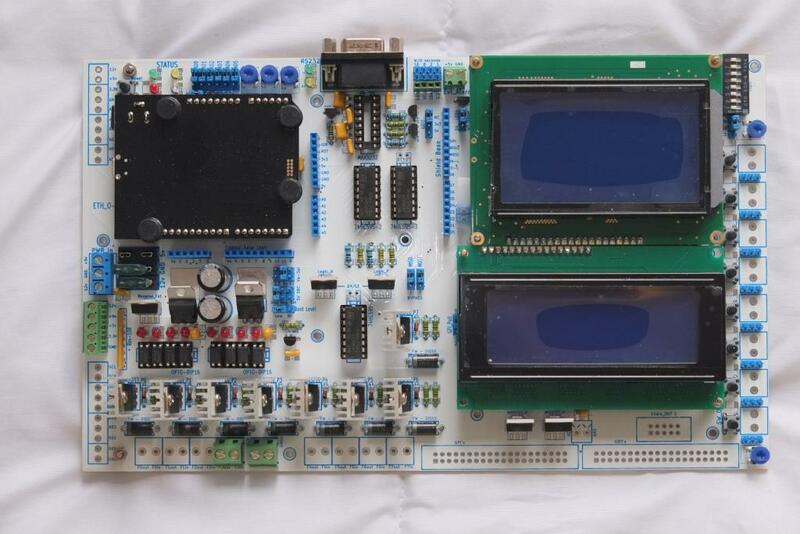 /// Driver for a generic HD44780-based character-matrix LCD module. //each physicalRow is made of one or two "physicalBlocks"
//such as the rows displacement, interleaving, etc. /// the codes span from 0 to 7, inclusive. /// by a 5x8 pixel matrix (most common), or a 5x10 pixel matrix. /// However, the most bottom row is reserved for cursor. In Topic: Compiling Firmware with Keil evaluation. Turns out that produces 115 errors??? In Topic: Native Development Options? I just read you were thinking of changing to kail MDK last year? Are you going to switch to Keil MDK Still? I've heard that RVDS is extremely expensive. What version do you use. I would like to get a quote. Would it make debugging and modifying native neduino code much easier. I'm really in need of adapting it to STM32F407IGT6.